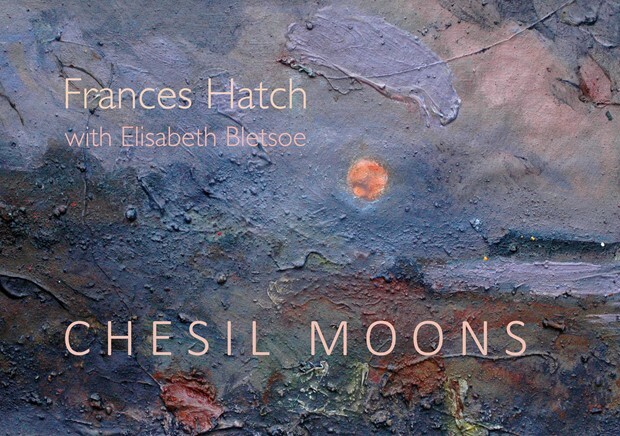 Frances can often be seen sitting on the ground with her materials around her working in the landscape. 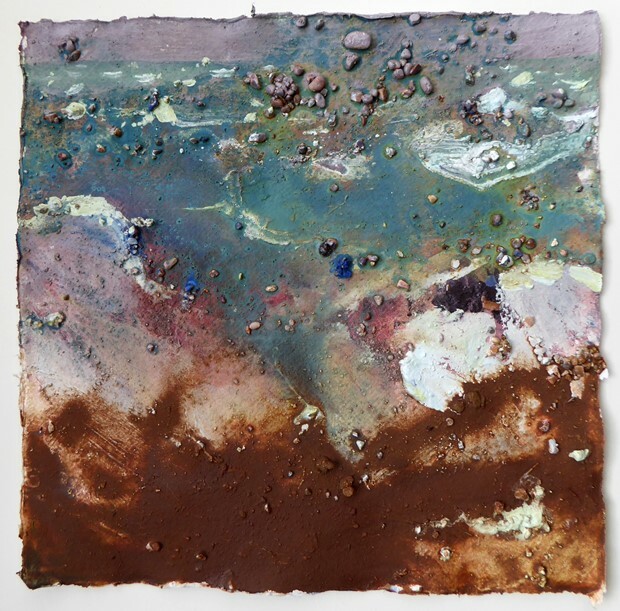 She makes work on site integrating pigments naturally occurring in cliffs and beaches. She takes as little as possible with her in the way of materials and equipment and relies on what each environment offers. 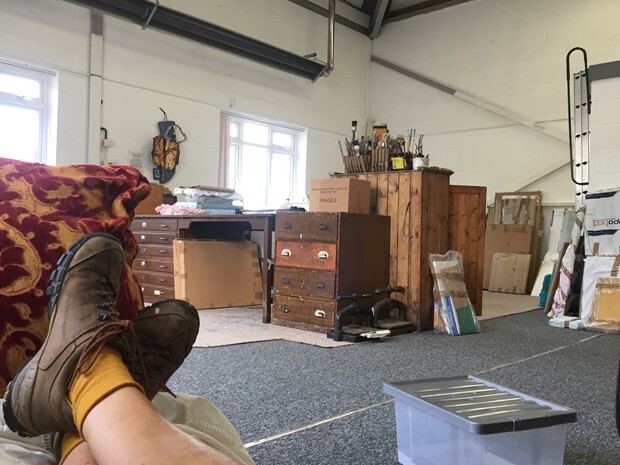 "NEW STUDIO SPACE IN WEYMOUTH"
"SAME TREE - DIFFERENT VIEWPOINT - DIFFERENT DAY"
'Direct work in the landscape is central to my practice. 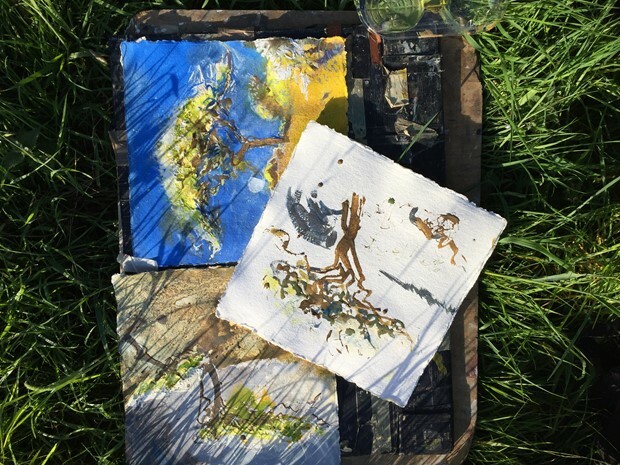 Each site has its own palette and demands something particular of me… at times I integrate colour (gouache, acrylic or watercolour) with what is available in the landscape and at others the found material offers all'. 'By grubbing around for my tools and pigments I make discoveries about a place that I might otherwise miss. If I return, even a day later, a different set of possibilities arise because I’m different and I’m encountering matter, water, light and air that continually fluctuate'. Frances was born and raised in the fenland village of Littleport in the Isle of Ely, Cambridgeshire. She currently lives near Bridport in West Dorset, her home is a short walk from The Jurassic Coast. 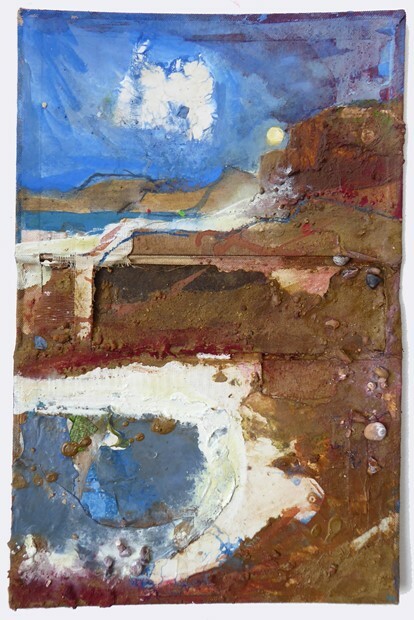 By the time she left home for University – (chosen for its exposed location by the sea) – she had already established her plein air practice of painting. ANTARCTICA CONFERENCE, The Australian National University, Canberra. Contribution (in absentia) by Frozen Orchestras of Lost Sound: 26-29 June 2011. Frances was born and raised in the fenland village of Littleport in the Isle of Ely, Cambridgeshire. She currently lives near Bridport in West Dorset, her home is a short walk from The Jurassic Coast. By the time she left home for University – chosen for its location by the sea – she had already established her plein air practice of painting. Since then her determination to keep her life spacious enough to grow her art practice has remained. Her next post was part time teaching at degree level at La Sainte Union in Southampton, and from 1990 Frances has been Senior Tutor at West Dean College. ”Any ‘teaching’ I commit to needs to spring from a personal living out of a creative life. I don’t think I would be much help otherwise”.